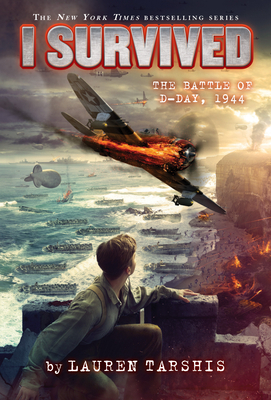 This installment in the New York Times bestselling I Survived series from Lauren Tarshis shines a spotlight on the Normandy landings, just in time for the 75th anniversary of D-Day! In commemoration of the 75th anniversary of D-Day, Lauren Tarshis shines a spotlight on the story of the Normandy landings, the largest seaborne invasion in history and foundation for the Allied victory in World War II. Lauren Tarshis's New York Times bestselling I Survived series tells stories of young people and their resilience and strength in the midst of unimaginable disasters. Lauren has brought her signature warmth and exhaustive research to topics such as the September 11 attacks, the destruction of Pompeii, Hurricane Katrina, and the bombing of Pearl Harbor, among others. She lives in Connecticut with her family, and can be found online at laurentarshis.com.